Chicken Jalfrezi and Aloo Saag. 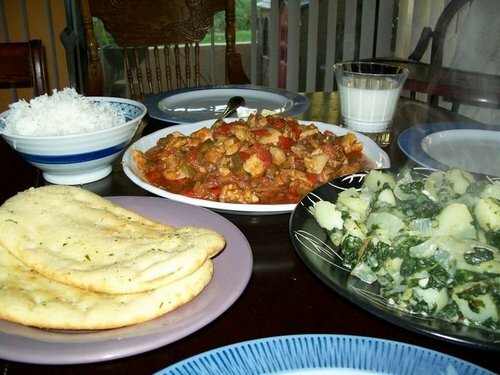 One of the dinners I've cooked recently. HD Wallpaper and background images in the Indian Food club tagged: chicken jalfrezi aloo saag indian food. This Indian Food photo contains lunch, luncheon, tiffin, and dejeuner. There might also be meal, repast, antipasto, and turkey dinner.